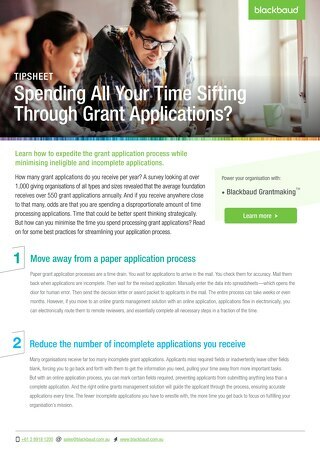 Get instant access to great content! 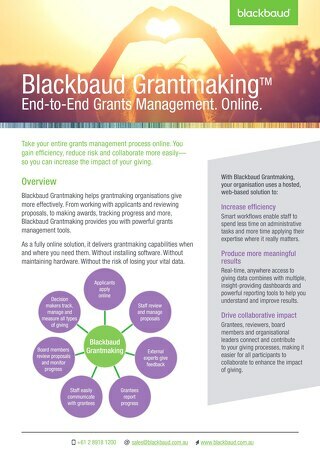 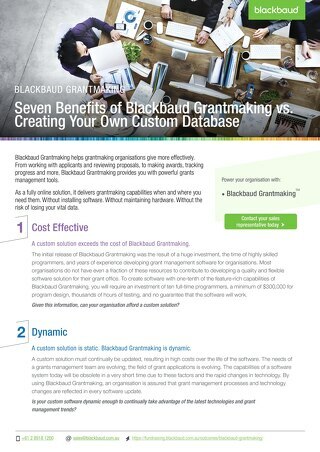 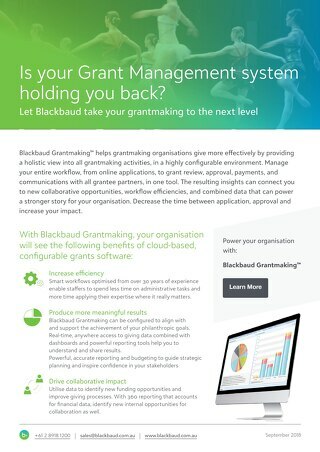 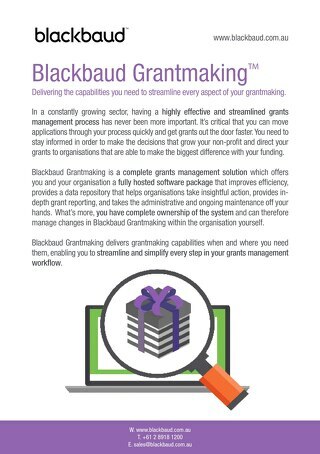 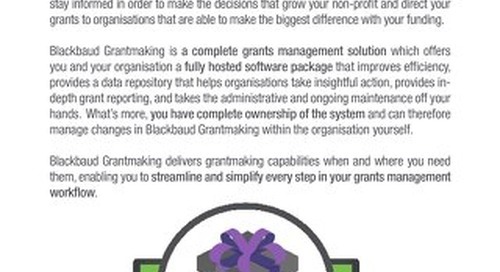  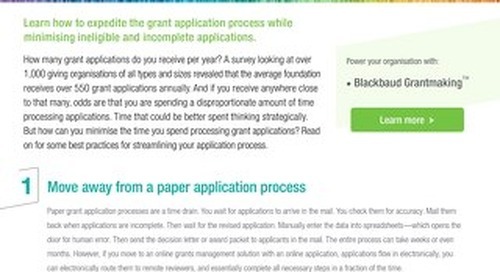 Is your Grant Management system holding you back? 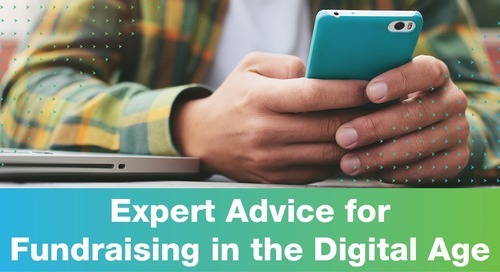 We speak to Carl Young, Fundraising Director at the Peter MacCallum Cancer Foundation to discover what Fundraising Efficiency means to him and the best way to approach it. 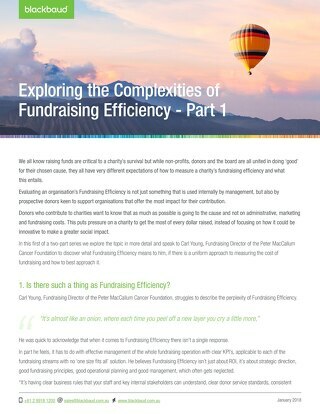 In our second series, we interview Stephen Mally, Director of FundraisingForce to provide us with his view on what Fundraising Efficiency means to him. 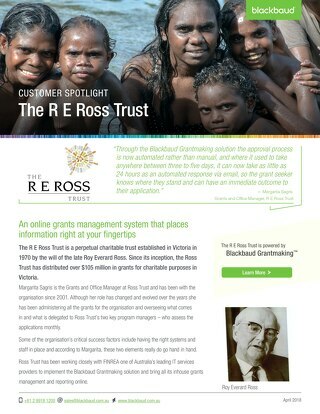 Cystic Fibrosis Western Australia have grown from their humble beginnings of a parent-founded self help group to a $2.2 million charity - see how they raised their fundraising game. 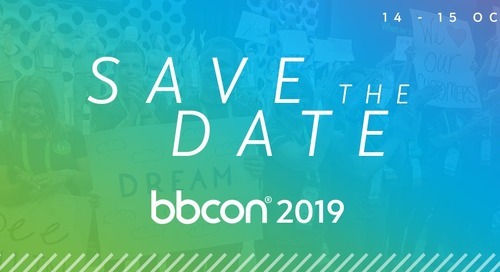 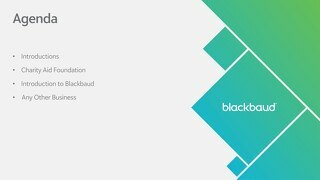 Blackbaud leaders and industry experts came together to bring you the top 6 trends that will impact the social good sector.